What do you guys feed yellow polyps...just regular invertebrate target food?? ?..I feed my feather duster invert target food from coralife ...could I just give some to the new yellow polyps as well?? its a 5gal hex. mushrooms, yellow polyps, percula clown, fetaher duster, yellow feather duster and a small serpent star. weekly water changes, sometimes supplement with Kent Nano parts A ans B. No need to target feed these. they will get what they need at tank feeding time. Lighting? Shrooms and polyps should be okay under that light. Placement high in the tank will help. Your polyps will gather what they need from the water column. You can also try some cyclop-eeze. be care though, it can foul your water. 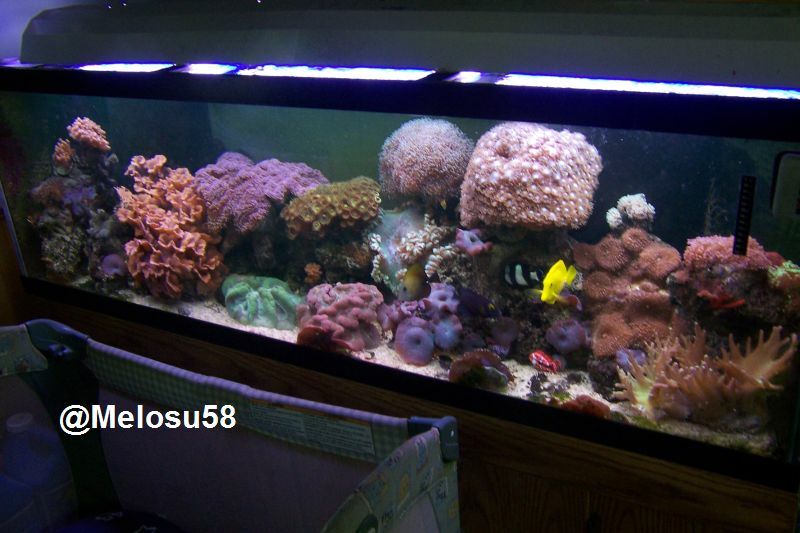 Your polyps are not filter feeders like your duster so that food will have little effect. Just be careful not to over-feed the tank. I never target fed mine. They just got scraps from the feedings from my fish. Mostly brine shrimp. I mean that`s what they would eat . I dont mostly feed my tank brine. Just wanted to clear that up. I bought a small rock with about 15-20 yellow polyps. I never specifically tried to feed them, but noticed that they would eat small food flakes, brine shrimp, things like this instead of filter feeding. They have gone crazy in my tank. There's probably like 200-300 of them now in my tank. I took the original rock that i bought and sold to my lfs, and still have plenty in my tank. The guy at my lfs told me that in some tanks they grow like weeds, and some people can't get them to grow! I don't know what I did right, but i must have done something! I had hundreds at one time before a coral beauty I had eradicated most of them. I just got his last week. I hope this thing grows like crazy like you guys. I have a 55G 4-ft with CUSA Orbit 4x65w PC (daylight and actinic). Calcium 420 - 460ppm, Kh 352, pH 8.2, Nitrates zero, Phosphates zero, and temp 78 - 80F. I have others (bubble coral, waving green star polyp, haired shrooms, striped shrooms, blue shrooms, and a finger leather frag). Cool. Good luck. I would liek to see a picture of the whole tank.